Women want someone to listen… Men want to fix things. Men want someone to listen… women want to give advice. We all want someone to JUST LISTEN. It seems to be the way that things go, but the thing is, sometimes you don’t want someone else to try to ‘solve’ your problem.. you just want them to listen to you. I’ve learned this more, since becoming a mom. I don’t need to solve their problems, they just want me to listen to them. When I offer advice, they are usually discouraged by it, instead of encouraged by it. This isn’t what I want for them. I’ve learned to become a sounding board. It’s no different with my husband. When he tells me something that is wrong, I’ve learned that he just wants to tell someone. If he needs advice, he’ll ask for it. I’m the same way- I just want someone to listen; listening itself is an exceptional gift. 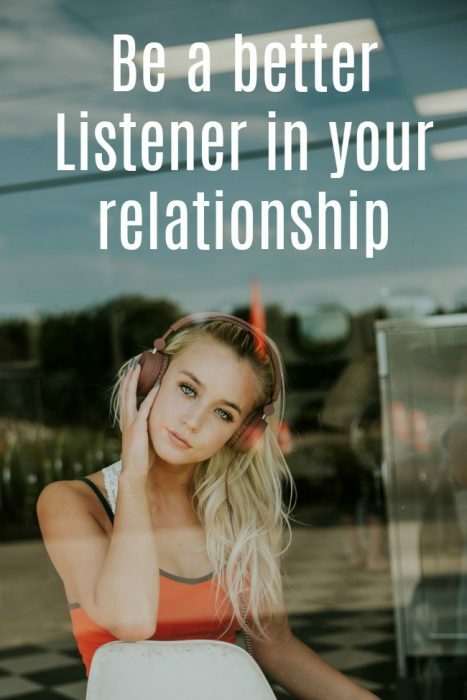 Another source says “Before you can listen, you have to be aware that your partner is talking to you. If you are busy and you hear them talking to you, stop what you are doing and talk to them. If you can’t do that, tell them that you will be with them shortly. Miscommunication happens when a person is too wrapped up in what they are doing and then fail to realize that their partner is talking to them.